For a group that are only just closing in on their 2 year anniversary, POP have been through quite a lot. Originally starting out as the duo of Kamiya Saki and Mizuta Mari, that whole deal only lasted maybe half a year before imploding on itself due to various differences between the two. This would eventually lead to the addition of 4 new members, along with the remaining Kamiya and the formation of the line-up that we see today. Unfortunately, it was not all plain sailing for the group after this. 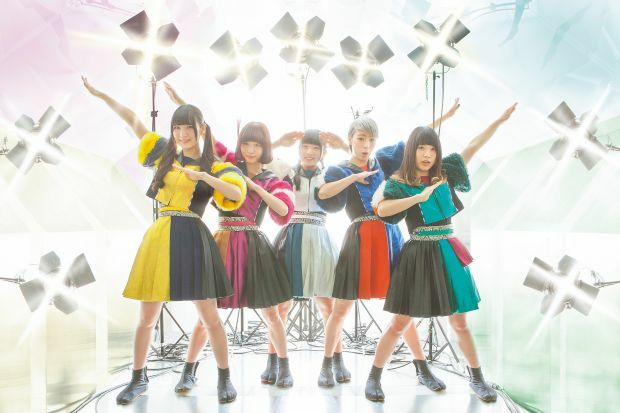 After some…ill advised actions at Tokyo Idol Festival saw the group kicked out and Kamiya Saki suspended from all activities, the group appeared to be rudderless. 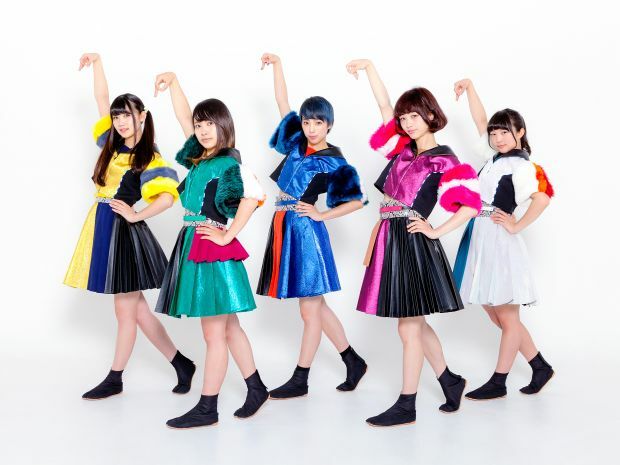 Thankfully Kamiya was able to redeem herself and the group was able to get itself back on track and release their “debut” single in the form of “Happy Lucky Kirakira Lucky” which was well received by many. 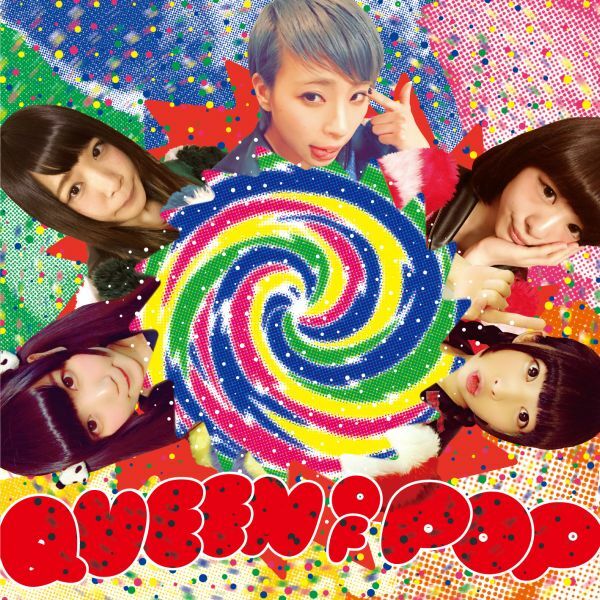 POP look to continue this well deserved run of good fortune with “QUEEN OF POP”. I’m a bit late with my review of this particular release but I had a lot of other stuff to get to in the meantime. It’s hard to prioritize this stuff sometimes but I try my best. It’s not like I’m even that late, its been what 3 weeks maybe? Anyway, I’m rambling. Let’s get into this and see what I thought of “QUEEN OF POP”. I’m finding it quite difficult to describe the title track of this single. There’s rather a lot going on in “QUEEN OF POP” which I guess is rather impressive given it’s only three and a half minutes long. There’s synths, drum machines, guitars; it shouldn’t really work as well as it ended up working in all honesty. The vocals are solid, if not incredibly memorable but at the same time I find myself humming along to them. It’s…weird. Speaking of weird, can we take a moment to talk about that PV? What is even going on there? It’s like everyone dropped acid and were like “Hey man, making spiritual symbols on a green screen sounds like a rad idea!” I’m not really sure what they were aiming for there, and maybe they weren’t either. It’s certainly interesting, that’s for sure. Shame they didn’t have a larger budget but I guess that’s charming in its own way too. Getting back to the song, I like it a good deal and it’s another strong entry in the POP discography. I kinda wish they’d settle on a more defined sound so I was totally guessing at what they’re going to release next, but it is only their second single as a group and I suppose some people do like surprises. Speaking of not settling on a particular genre, next up we have the single’s b-side “Hashiru! !” Unfortunately there isn’t a video to link for this one but the song is on POP’s Soundcloud if you want to check it out. It’s a little unfortunate that this song didn’t get a video, I think they could have done something pretty cool with it. The best way I can describe this is “anime opening song”. In fact, it sounds eerily similar to that one ClariS song that they did for the “Ore no Imouto ga Konnani Kawaii Wake ga Nai” anime. “irony” I believe it was called, take a listen to it and tell me there isn’t at least some similarity. Go on, I’ll wait. Even if it does sound kinda similar to another song (and hey, a lot of songs do these days), “Hashiru! !” is still a pretty great song. I kinda feel like maybe it should have been the a-side though if POP were trying to appeal to a wider audience. Then again I’m not some kind of PR expert or the manager of an idol group, so what do I know. Overall, I have very little to complain about when it comes to this release. I’ve seen a few people online saying that POP are going too vanilla and by the numbers, but I don’t really agree with that view. Even if they are, who cares as long as the songs are still good, and these songs are pretty good if you ask me. POP have already announced their next single, which is set to come out in July. I have no idea what they’re going to do with it, but I’m sure it’s going to be interesting and hopefully pretty good also. It’d also be great if they could go the whole of 2016 without any major disasters befalling them, and get some momentum behind them.